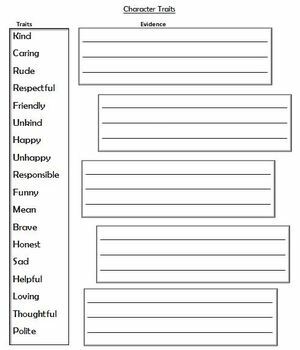 Use this worksheet to teach students how to identify character's traits from a story. Help students find what characters say or do in a story and match their actions with a word from the list. Challenge students by telling them to use the synonym of a word on the list.